The Mock Interview is a practice interview conducted for INROADS Candidates who have completed our corporate readiness training workshop titled the INROADS Candidate Prep Session (CPS). INROADS conducts the Mock Interview with candidates who completed the CPS to gage if they’ve retained the interviewing skills and techniques reviewed during the training workshop. We utilize the Mock Interview as a coaching opportunity to provide constructive feedback to candidates on their strengths and/or areas of improvement as it relates to their interviewing skills. 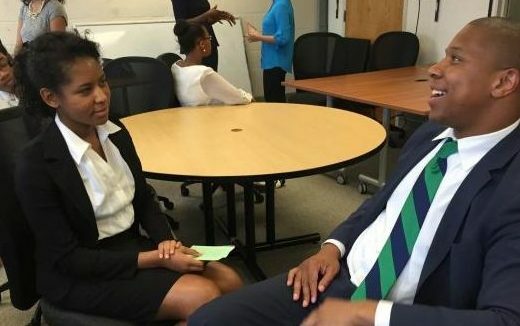 INROADS evaluates a candidates’ interview readiness to go through a formal corporate interview for a summer internship based on their performance during the Mock Interview. Interviews can be conducted via phone, webcam or in person. Use the preference that is most convenient and conducive against your availability. When you are contacted by an INROADS Mock Interviewer, you both decide which method is most convenient.